Whether you call it personal growth or personal development, self help or self improvement; the goal is the same. We want to grow and develop into the kind of person we know we can be. There are many books out there promising to help you be more, do more, be less, do less. How do you know which ones you should invest in? Which personal growth books are worth your money and your time? Which personal development books will help you with what you are struggling with most right now? 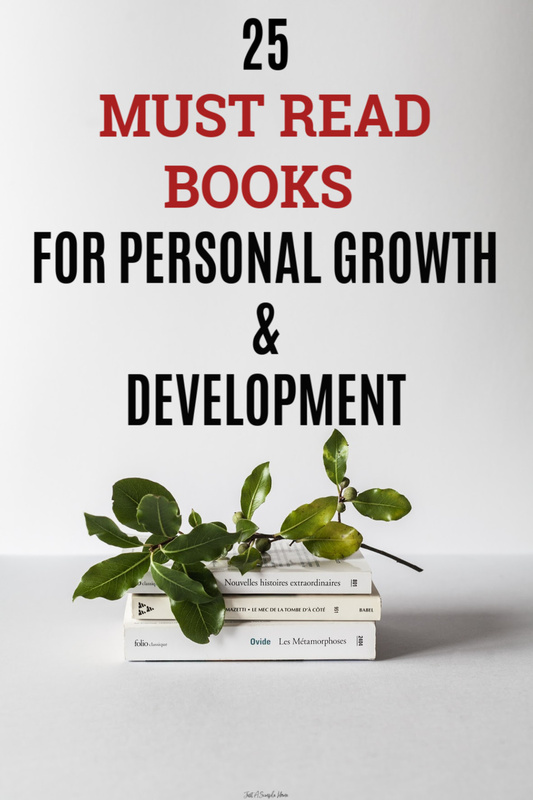 Well, I have compiled another amazing list of some of what I think are must read books for personal growth and development and I am confident you will find a few on this list that you’ll love and that will change you. 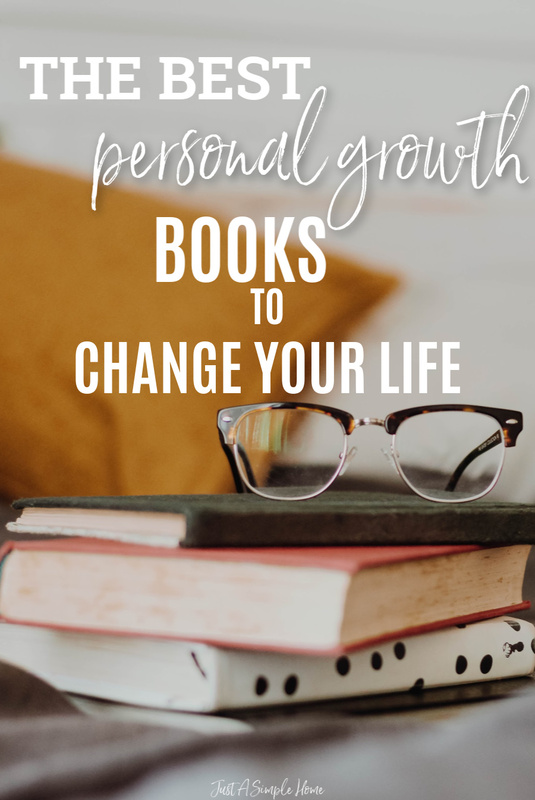 If you haven’t read my previous post on the 10 Must Read Books For Personal Growth, you may want to check that out as well, and then dive in here. I know I have had many people ask me how I have the time to read as a busy mom, and I explained it a little while back. That is still the case. I love reading and will always be a reader. I also use my Audible membership almost daily, which really helps me get my personal development in each day. I can listen to a book while I am folding laundry, doing dishes, or even driving in the car. I highly recommend trying it out – right now, you’ll even get two free audiobooks when you sign up for a free trial! Powerful Lessons in Personal Change – who couldn’t use that? Quoted as “one of the most inspiring and impactful books ever written,” The 7 Habits of Highly Effective People has transformed the lives of many leaders, parents, and educators over the past 25 years. It doesn’t matter your age or occupation; this is one book that will stretch and grow you in powerful ways. You may be living in a cave if you haven’t heard of this book. Girl, Wash Your Face shows you how to live with passion and hustle–and how to give yourself grace without giving up. Rachel is entertaining and uplifting, but also has ‘an in your face’ mentality to make sure you will be convinced to do what it takes to become who you were meant to be. If you’ve read any of Brene’s books before, you know you’ll love this one too. She shows that we can dare to lead and not pretend to have all the answers. We stay curious and we ask the questions that are needed. We don’t avoid difficult situations; we lean into our vulnerability when necessary to do good work. No matter your goals, Atomic Habits offers a proven framework for improving–every day. Clear draws on the most proven ideas from biology, psychology, and neuroscience to create an easy-to-understand guide for making good habits inevitable and bad habits impossible. So many of us thrive on being busy…it’s almost a badge of honor. But what if the exhaustion of constant busyness wasn’t mandatory? What if you could step off the hamster wheel and start taking control of your time and attention? That’s what this book is about. Make Time isn’t about productivity, or checking off more to-dos. Nor does it propose unrealistic solutions like throwing out your smartphone or swearing off social media. Making time isn’t about overhauling your lifestyle; it’s about making small shifts in your environment to free yourself from constant busyness and distraction. A must-read for anyone who has ever thought, If only there were more hours in the day…, Make Time will help you stop passively reacting to the demands of the modern world and start intentionally making time for the things that matter. Michael D. Watkins offers proven strategies for getting up to speed faster and smarter —no matter where you are in your career. Great leaders sacrifice their own comfort–even their own survival–for the good of those in their care. Imagine a world where almost everyone wakes up inspired to go to work, feels trusted and valued during the day, then returns home feeling fulfilled. If habits are a key to change, then what we really need to know is: How do we change our habits? Better than Before answers that question. It presents a practical, concrete framework to allow readers to understand their habits—and to change them for good. THESE SIX HABITS WILL MAKE YOU EXTRAORDINARY. After extensive original research and a decade as the world’s highest-paid performance coach, Brendon Burchard finally reveals the most effective habits for reaching long-term success. Based on one of the largest surveys ever conducted on high performers, it turns out that just six habits move the needle the most in helping you succeed. To become a high performer, you must seek clarity, generate energy, raise necessity, increase productivity, develop influence, and demonstrate courage. This book is about the art and science of how to practice these proven habits. HIGH PERFORMANCE HABITS is a science-backed, heart-centered plan to living a better quality of life. Successful people realize that people won’t truly buy into a product, service, movement, or idea until they understand the WHY behind it. In The Power of Habit, Charles Duhigg explains why habits exist and how they can be changed. Duhigg presents a whole new understanding of human nature and its potential. The key to exercising regularly, losing weight, being more productive, and achieving success is understanding how habits work. As Duhigg shows, by harnessing this new science, we can transform our businesses, our communities, and our lives. Wake up and take control of your life! From the bestselling author of Inner Strength, Unlimited Power, and MONEY Master the Game, Anthony Robbins, the nation’s leader in the science of peak performance, shows you his most effective strategies and techniques for mastering your emotions, your body, your relationships, your finances, and your life. He provides a step-by-step program teaching the fundamental lessons of self-mastery that will enable you to discover your true purpose, take control of your life, and harness the forces that shape your destiny. The ONE Thing has made more than 400 appearances on national bestseller lists and was voted one of Top 100 Business Books of All Time on Goodreads. People are using this simple, powerful concept to focus on what matters most in their personal and work lives. Companies are helping their employees be more productive with study groups, training, and coaching. Sales teams are boosting sales. Churches are conducting classes and recommending for their members. By focusing their energy on one thing at a time people are living more rewarding lives by building their careers, strengthening their finances, losing weight and getting in shape, deepening their faith, and nurturing stronger marriages and personal relationships. YOU WANT LESS. You want fewer distractions and less on your plate. The daily barrage of e-mails, texts, tweets, messages, and meetings distract you and stress you out. The simultaneous demands of work and family are taking a toll. And what’s the cost? Second-rate work, missed deadlines, smaller paychecks, fewer promotions–and lots of stress. AND YOU WANT MORE. You want more productivity from your work. More income for a better lifestyle. You want more satisfaction from life, and more time for yourself, your family, and your friends. NOW YOU CAN HAVE BOTH–LESS AND MORE. In The ONE Thing, you’ll learn to * cut through the clutter * achieve better results in less time * build momentum toward your goal* dial down the stress * overcome that overwhelmed feeling * revive your energy * stay on track * master what matters to you. While most people operate with only three degrees of action-no action, retreat, or normal action-if you’re after big goals, you don’t want to settle for the ordinary. To reach the next level, you must understand the coveted 4th degree of action. This 4th degree,also know as the 10 X Rule, is that level of action that guarantees companies and individuals realize their goals and dreams. It also demonstrates why people get stuck in the first three actions and how to move into making the 10X Rule a discipline. Find out exactly where to start, what to do, and how to follow up each action you take with more action to achieve Massive Action results. Most people are fearful of change, both personal and professional, because they don’t have any control over how or when it happens to them. Since change happens either to the individual or by the individual, Dr. Spencer Johnson uses a deceptively simple story to show that when it comes to living in a rapidly changing world, what matters most is your attitude. Amanda has lead the world’s most successful music Kickstarter, after learning the art of asking. So many people are afraid to ask for help, and it paralyzes their lives and relationships. In this groundbreaking book, Amanda explores these barriers in her own life and in the lives of those around her, and discovers the emotional, philosophical, and practical aspects of THE ART OF ASKING. Most people believe that the best way to motivate is with rewards like money—the carrot-and-stick approach. In this provocative and persuasive new book, Pink asserts that the secret to high performance and satisfaction-at work, at school, and at home—is the deeply human need to direct our own lives, to learn and create new things, and to do better by ourselves and our world. With more than two million hardcover copies in print, The One Minute Manager ranks as one of the most successful management books ever published. Now, you can listen and learn the strategies of one-minute management to save time and increase your productivity whether it be in your business, your home or even managing your children. You will learn to use three easy-to-master management techniques that have already changed the lives of millions; One minute Goals, One Minute Praisings, and One Minute Redirects, the NEW third secret. This book will help you find meaning in your work and make your life better. In How to Be Better at Almost Everything, Pat Flynn shares the secrets to learning (almost) every skill, from marketing and music to relationships and martial arts, teaching how to combine interests to achieve greatness in any field. Remember, there is no ceiling to your potential, except the one you set for yourself! Focus on growing and challenging yourself and you will be amazed at what is possible. If you are still looking for that work from home opportunity, I would love you to consider applying to my next apprenticeship program. Thanks for sharing these. I loved Better Than Before; I still need to read The Four Tendencies. And I own The Art of Asking and hope to read that soon. I really enjoy this.. I added a few to my reading list, thanks! This is a great list. My husband has read a few of these, but I have yet to add any development books to my read list. It is one of my 2019 goals to read more books that will help me grow. I have read a few of these books and they are definitely great books for growth and development! I will have to try reading some of the others. Thanks for the great suggestions! I have not read ANY of these but almost ALL of them are on my list for this year! We just got the 7 Habits for Christmas and can’t wait to start it!! Thank you for these recommendations! This year, I am determined to grow and improve myself as a human being. I will definitely be reading some of these! Start With Why is a great book! I need to start digging into Brene Brown’s books. Yes, I love Brene’s books! So many great book suggestions. In high school, we had to read the 7 Habits of Highly Successful People. I still think back on things I read about in that book and try to apply them. I think that is so fabulous they had you read that in high school! My son has the Habits of Highly Effective Teens and it’s great. There are so many great books listed here, each with definite potential to help readers live the life they dream of! Thanks for compiling this list, I found a couple new titles I’m excited to read. Great list! Amanda Palmer’s TED talk about the Art of Asking literally changed my life. I never knew she had a book! Must go get it from the library. I have heard of several of these books, but must admit that I’ve read none of them. Perhaps I need to start! Such a great list! So many I have never heard of before! I’m always on the lookout for the next great book. I LOVED Girl Wash Your Face…can’t wait until the next one comes out. Have you read Big Magic? Excellent Read too! I’m so intrigued! I haven’t read any of these yet but am definitely adding a few to my “to-read” list. I desperately want to read girl wash your face. I’m going to make it a priority to get my hands on a copy one way or another. I gotta say, most of these I’ve not even heard about. And I’ve only read one of them- The Greatest Salesman. But the Power of Less looks like my kind of book! Oh, and I really want to read Rachel Hollis’ book too, even though there’s been some controversy revolving around that one. 😉 Thanks for these recommendations! I’m always on the lookout for good reads! This is a great list – I pinned it for later. And I love your site – it is so beautiful. I just started my blog and now I appreciate all the hard work that goes into it! Great list! I have added some of them to my reading list.